Diez historias contadas desde animación. Diferentes estilos y mucho talento. ocasión con diez historias cortas llenas de ingenio y buenas técnicas. que se hace en esta parte del mundo, con mucho movimiento, texturas y ritmo. ten short stories full of wit and good techniques. with lots of movement, texture and rhythm. 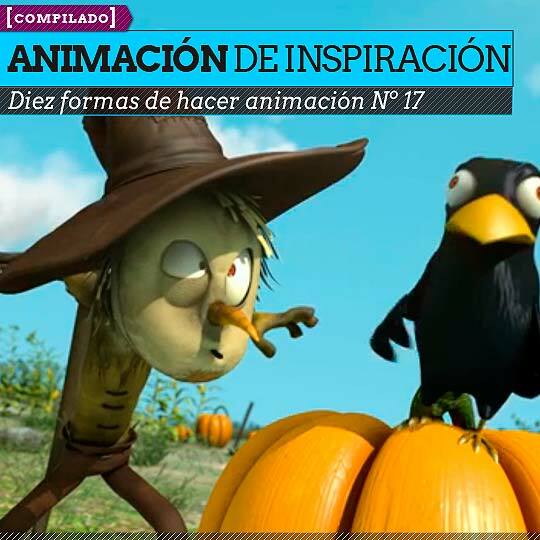 of animation you’re still hungry, you can explore the compiled 1, 2, 3, 4, 5, 6, 7, 8, 9, 10, 11, 12, 13, 14, 15, and 16 of Ten ways of doing animation. Lightning Larry from Lightning Larry on Vimeo. Ricky Renna – The Final Straw from Ricky Renna on Vimeo. Wolfsong from Toniko Pantoja on Vimeo. SunBurn from Janine Chang on Vimeo. Pig Box from David Chao on Vimeo. Obsolete from Smoking Robot on Vimeo. The Memory of Fountain (L’uomo d’acqua e la sua Fontana) from earth design works on Vimeo. The Glitched King from Michael Piazza on Vimeo.